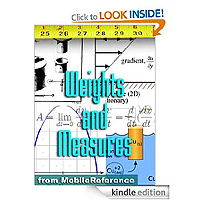 Weights and Measures Guide: Conversion units including Length, Area, Volume, Speed, Electricity, Temperature, & more! Boost Your grades with this illustrated quick-study guide. You will use it from school to college and beyond. The full version is absolutely FREE. Features Conversion of over 1,000 units. Metric, English, and US customary systems. Length, Area, Volume, Speed, Force, Energy, Electricity, Viscosity, Temperature, and more. Navigate from Table of Contents or search for words or phrases. Add bookmarks and annotation. Access the guide any time, anywhere - at home, on the train, in the subway. Use your down time to prepare for an exam. Always have the guide available for a quick reference. Indispensable resource for technical and life science students. Very useful and fascinating - everything you would need for converting any measurement, including now defunct and out of date measurements. 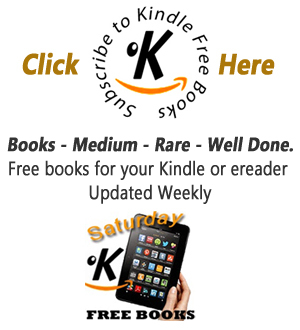 Handy to be able to carry it around with you on Kindle. I needed to have a conversion table at hand as my old brain seems to have difficulty thinking in metric having been brought up in imperial, so this is just the job to have at hand in my Kindle library.